Fogger makes it easy to create an Instant Safety Zone! No Waiting, No Wiping, No Germs! If you're moving into a new space, want to sanitize during or after an illness, or just want to sanitize your home, office or baby's room, Saniguard is uniquely qualified. 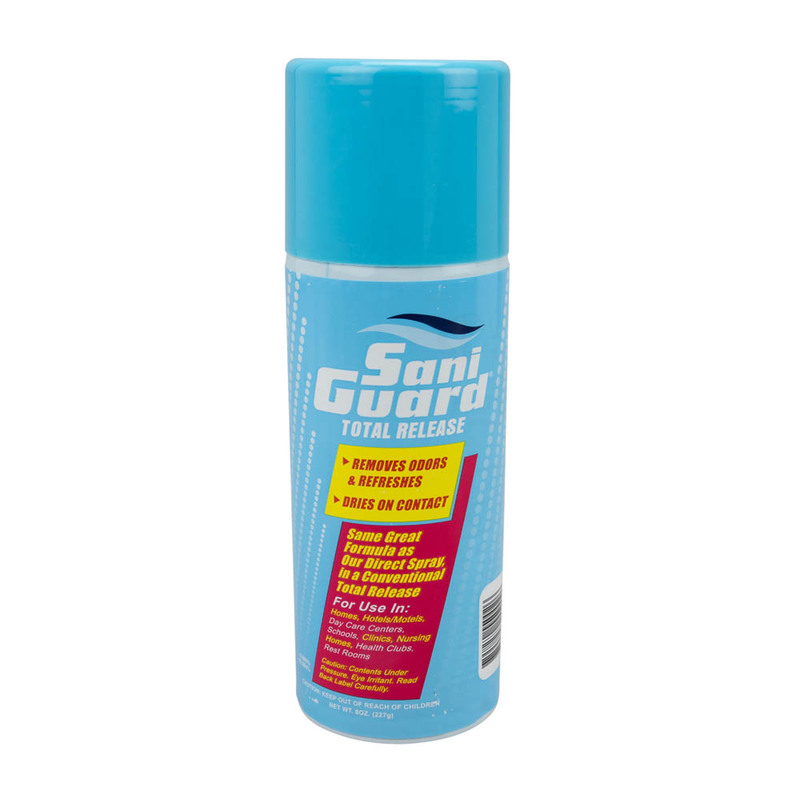 SaniGuard® Fogger is the world's first and only DRY-ON-CONTACT Sanitizer & Deodorizer. Safe for food contact surfaces and other non-porous surfaces including electronics! Also kills the source of odor causing constituents such as mold and mildew. SaniGuard dries on contact, so you don't have to wait 10 minutes after using SaniGuard like competitive products require. SaniGuard has undergone extensive independent laboratory testing and is the only dry-on-contact sanitizer currently available. One 8 oz. 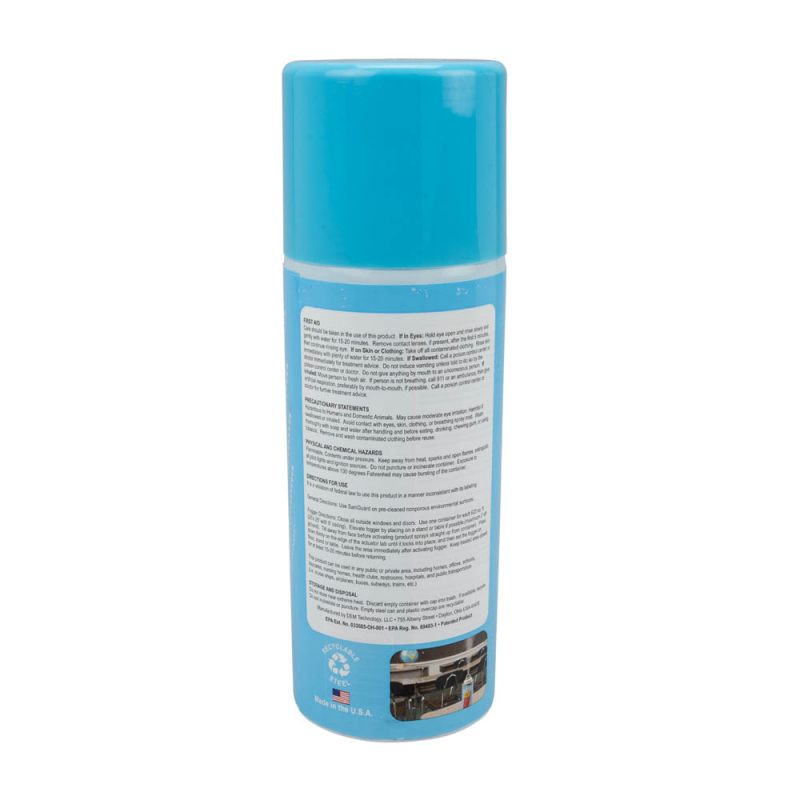 fogger is capable of sanitizing 650 sq. ft.
Just set the SaniGuard fogger in the area you want to sanitize and press the button. The entire can will dispense creating a sanitizing fog. It is recommended to leave the area for about 15 minutes.